While rotisserie and fantasy league baseball are very popular, they are usually very complicated and require a lot of baseball knowledge. A popular alternative for your office, family, or friends is a 13-Run Baseball pool. While 13-Run pool rules are simple, they still normally require you to track down the scores every day, update the pool standings, and distribute them to their members. This season, let RunYourPool.com do that work for you! What is a 13-Run Baseball Pool? The goal is to be the first member to have their team score every number, from 0 to 13 runs. The site updates the pool standings in real-time as games end. No more recompiling standings manually and figuring out how to distribute them. The following is a sample standings grid for a small 13-Run Baseball pool. Green cells indicate a member's team has closed that number of runs. The numbers in each cell indicate how many times the team scored the indicated number of runs. Pool administrator's can wait until after members have joined to make that determination. Add your company or organization logo to customize the look of your 13-Run Baseball pool. For more information, see our Brand Your Pool page. 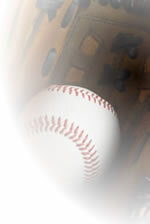 Every 13-Run Baseball pool hosted at RunYourPool.com includes a free, private message board. Your pool's message board, accessible only to your pool members, is a great way to communicate with members. The total cost to run a 13-Run pool is $24.95. Start your 13-Run Baseball pool with us today. If you have any additional questions, please contact us via email at sales@runyourpool.com. We're happy to answer any questions you may have.